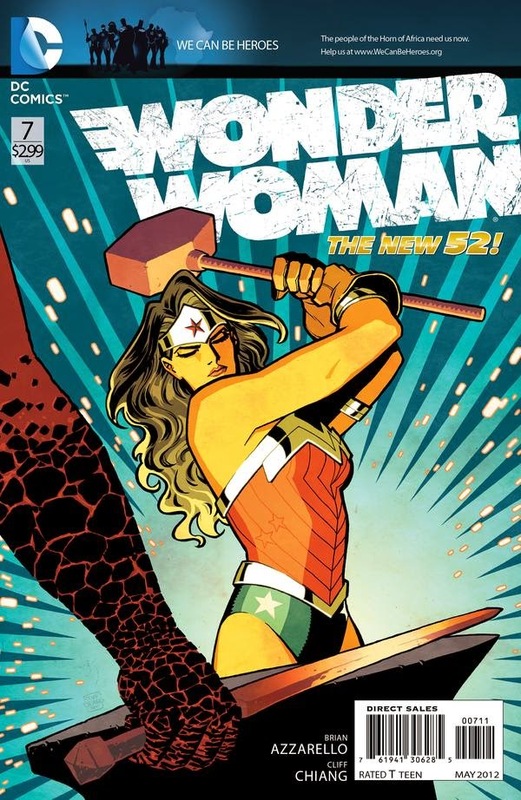 Kiss My Wonder Woman: What's On My Pull List? So, I'm still pretty much swamped with work, and I should probably be working on my paper right now, but my brain feels a bit like pudding, sooo... Let's talk about comics! Specifically, what comics are on my pull list? For those of you who aren't all up in the comics industry's business, a pull list is a list of comics that you want your local comic book shop to "pull" for you when they come in. Since most comics publish on a monthly schedule, it's a simple matter to give your local shop a list of books that you will totally buy when they come in, and they should save a copy for you. My shop actually has you rent a small box (like a post office box, but cooler), and they give you a discount on all the comics you order through them, with the caveat that you kind of have to buy them if they order it in special for you. Which makes sense. Anyway, all that said, a pull list is a nice way to know that you've got some kind of special something to look forward to at the comic book shop each week, and it's a nice way to keep track of ongoing stories and all that jazz. 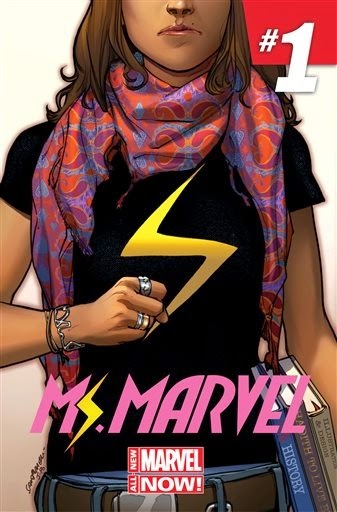 Ms. Marvel is a new title, just a few issues in, where instead of Carol Danvers in the thigh-high boots, it's newcomer Kamala Khan, a second generation American rebelling against her parents and their strict rules, but not entirely sure where she fits into her high school, and whether or not she really wants to. It has some really interesting stuff about race and religion and what it means to be a real and visible outsider in high school, which is fascinating, since Kamala's power is shape-shifting - she can look like anyone she wants, and a lot of the time, that means looking like a hot blonde superhero. Because she wants to be one of the cool kids, and the cool kids are white and blonde, right? So yeah, it's fantastic. Well written, funny, compassionate, and real. Kamala is screwed up and weird, but so so relatable. She's also a massive Avengers fangirl (she writes epic fanfic of the team and Steve and she's just such a dork and I love it), so it's fun to read about a teenage girl suddenly seeing her dreams come true. Oh my gosh she's a superhero! But oh crap, she's in trouble with her parents, and it turns out that this ability thing might actually be a problem. Plus, how is she supposed to figure out who she is when she can look like anyone in the world? Noticing a trend? So yeah, I like the whole Captain Marvel/Ms. Marvel storyline. 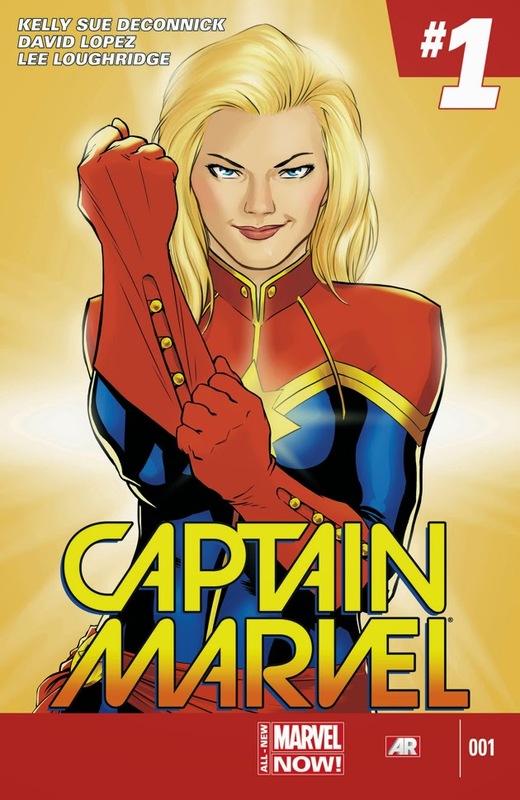 And I happen to adore Carol Danvers, whose recent comics have her going out into space to team up with the Guardians of the Galaxy and save the universe and fight injustice and all that spiffiness. Carol as a character is really compelling to me, as I went over in great detail here, because she's never really satisfied. She's restless and she wants more, and she's not ashamed of it. She's complex, and she's not perfect, and oh my gosh I love her so much. I don't actually have much more to say about her, really. I mean, I wrote that whole article, so I guess all that's left is to tell you that you should read this comic because it is good. Yes. Also she has a cat that is kind of a jerk, as all the best cats are. And she took the cat to space with her. Yes. What can I say? Marvel gets me. They really do. And this current run of Black Widow is freaking spectacular. 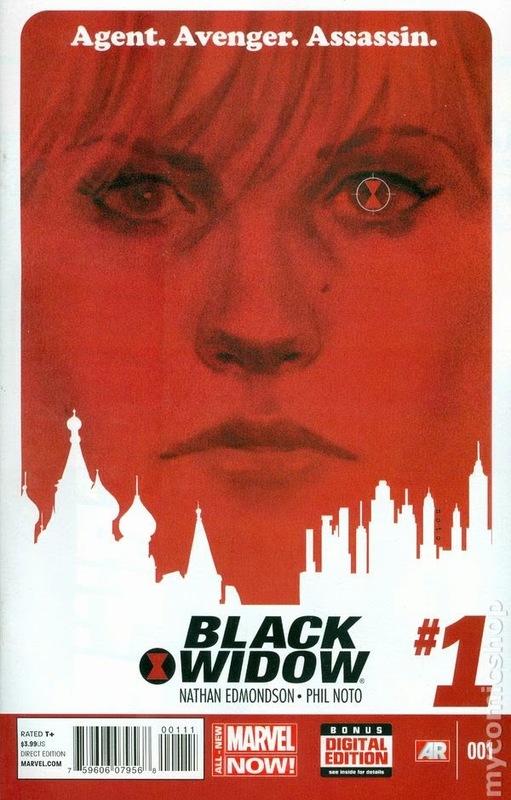 I mean, it's partially on here because the art is amazing and I love it and I want more and more and more, but it's also here because Black Widow as a character really fascinates me. She's a trained assassin, has a really traumatic past, and has decided to work for redemption and save the world and stuff. But here's the thing: it's not that this is a particularly unique or new storyline, but that it's not a storyline we usually see for women. Plus, Natasha's handler isn't Coulson or Fury or any of the other usual suspects, but actually Agent Maria Hill. So we've got Natasha Romanoff, super spy extraordinaire, swanning around Europe trying to take down a religious extremist and stop assassinations, while she is calmly being a badass and reporting to another badass lady agent, and oh did we mention that she's going to be working with the Winter Soldier in Issue Eight? Because she is. And I am soooo excited. I do have to admit that I am shallow, and I picked this up initially because I just really liked the art, which looks nothing like anything else in comics and is such a fantastic merger of story and visual that it makes me gleeful, but it truly is a fantastic story. Trust me. I know these things. It's so stinking cute I want to cry. Also good. 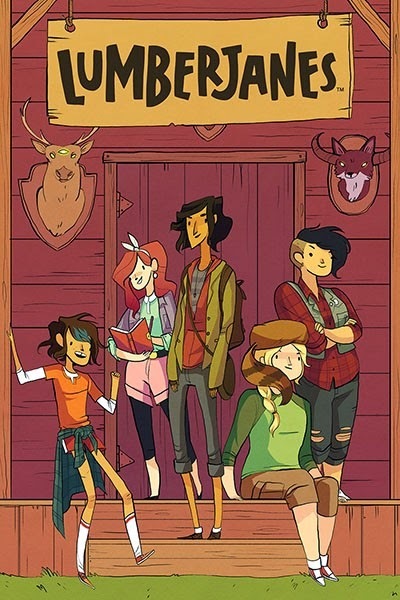 Lumberjanes is an all-ages comic, and normally I hate those, but I love this one with all of my cold, shriveled critic's heart. It's about a group of preteen (I think) girls at summer camp, who discover a bunch of spooky mysteries in the woods. Like three-eyed foxes and a prophecy warning them to "Beware the kitten holy!" So, it's a little weird, but in a good way. And the art is unique, fun, and adds to the experience of reading. It doesn't look like anything else, and that's a good thing. Also one of the writers is Noelle Stevenson, who does Nimona, and that should be a recommendation in and of itself. Probably the best thing I can say about this comic, though, is that it's only got one issue out, and my comic shop didn't even order it at first, but then got it in last week due to the overwhelming demand. When I went in today? They had sold out every single last copy. Hell to the yes. Ladies writing comics with lady art about ladies who are friends with ladies, and then those comics being read by ladies (and probably dudes too). Yessssss. Basically all this means is that I got kind of cheap and lazy about following these series, preferring to just buy the comics when they come out in a paperback collection rather than follow them month to month. Shame on me! But yeah. I've gone over my love for Saga on here before, and I would like to point out that this is not an all ages comic, but still good if you're over twenty-one and not particularly shockable. Wonder Woman is also fantastic, and one of the only New 52 storylines I actually like. I mean, the overhaul is pretty generally terrible, but this Diana plot works really well, is super interesting, and makes me want to read more! I also have a copy of Elektra that I picked up today (first issue of a new run for the win! ), but I haven't read it yet. I'll keep you posted. The cover art looks cool. I should probably stop procrastinating now. Sigh. Ms. Marvel #1 was actually the first comic book I bought digitally, just a few months ago. I thought that it was pretty good at addressing some social issues, and that it could do more in the long term. However, I felt that a lot of the supporting characters were little more than caricatures. I mean, seriously, what kind of high school students are really that vacuous, outside of a Disney Channel sitcom? Tragically, whole bunches of them. Though I have no doubt they have complexities within, those characterizations hit me as spot on, sadly. Or actually, I think it's more this: the whole story is from Kamala's perspective, right? It's all about what she sees and knows. We don't know anything she doesn't. So if her students do have hidden depths, she doesn't know about them. They are completely other to her, just as she is completely other to them. And I think that in itself makes a powerful statement about race - because we so rarely get to see things from a perspective like Kamala's.